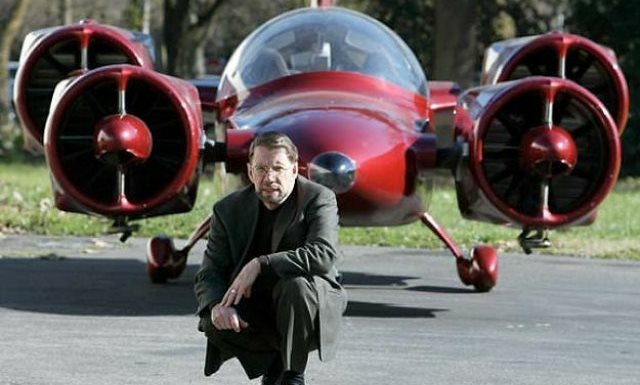 The Future is Here: Crowdfunded Flying Cars! Yes, after years of expectations and failed promises, flying cars have finally arrived! Okay, arrived may be a bit of a strong word. But the prototype has been built, and all that’s needed now is some final safety testing to get FAA approval. 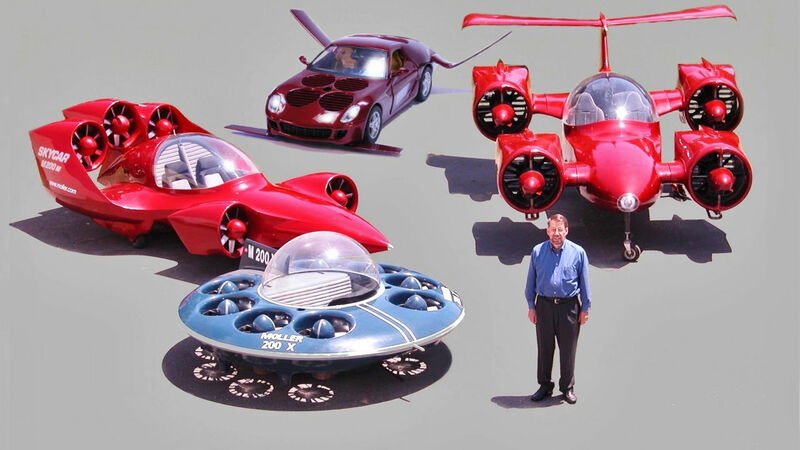 Then, aerospace inventor Paul Moller will have realized his thirty-year dream of bringing a viable flying car to the market. And to raise money for these tests, he’s mounted a crowdfunding campaign. Known as the M400X (aka. Skycar), this car is the a vertical take-off and landing vehicle that is also capable of horizontal flight. Powered by eight ethanol-fueled engines, it is designed to cruise at a speed of 500 km/h (315 mph) at a of height of 7600 meters (25,000 feet), or 320 km/h (200 mph) at sea level. A four-seat model that is about the size of a large SUV, this car weighs only 545 kilograms (1,200 lbs), thanks to a carbon fiber and Kevlar composite shell. In total, it is expected to be able to fly for roughly 1200 (750 miles) without refueling, giving it a fuel economy of roughly 10 km/liter (25 mpg). In addition, a top land speed of 50 km/h (30 mph) makes short-distance street travel feasible. In these respects, it is far more sophisticated than other flying car designs – such as the Airbike and Terrafugia – in that it does not require an airport runway to take off and land, but can taxi when it needs to cover only a small stretch of ground. The campaign began last month over at Indiegogo and will run to January 4th 2014, by which time, Moller and his company (Moller Int) hope to raise $958,000 of the $1.89 million needed to install the motors and FAA-required safety elements in the vehicle. Naturally, every donation comes with a prize, depending on the amount of money donated. And the grand prize, for a cool $15,000 dollars, is a chance to ride shotgun on the maiden voyage of the Skycar. Of that total, $932,000 has already been pledged by Nitroturbodyne – an FAA-designated engineering firm handling flight testing – and a former Moller subsidiary named Freedom Motors, which built the rotary engines, and the CliC protective goggles. By going the crowdfunding route, as opposed to corporate sponsorships, stock shares, or venture capital, Moller Int. hopes to raise the money faster while retaining more company control. We didn’t want to dilute the stock value by issuing more shares. Crowdfunding is a way for the average person to make a direct contribution towards a specific project without having to buy stock. This way, we can give really nice gifts and make people part of a team that can help make this happen. 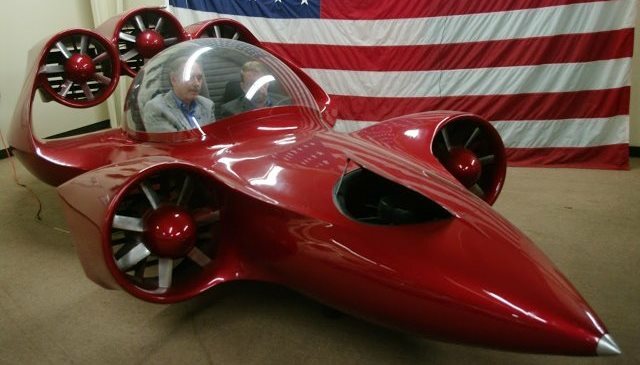 All proceeds from the Indiegogo campaign will be used to prepare the Skycar for a June public unveiling where it will conduct an official test flight at an altitude of 600 meters (2,000 feet). Another six months of testing to meet FAA requirements will follow, before donors get their guest flights. 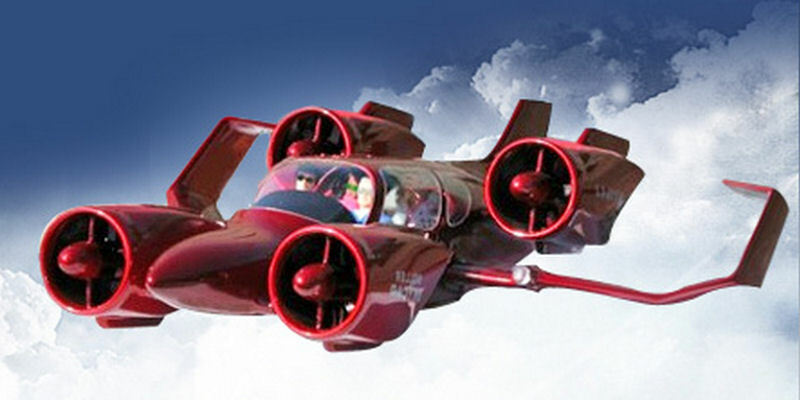 After that, Moller will donate the M400 to the Smithsonian National Air and Space Museum in Washington, D.C.
From there, he’ll focus on a smaller, two-person Skycar M200 (seen above), which will be made available to the public in about five years time – assuming all goes according to plan. If you have any interest in donating to this cause, which will see a millennial dream become a reality at long last, just go to the Indiegogo page and pledge what you like. Then start saving your pennies for the when the 200 model hits the market. It’s likely to be pricey! The Future of Fusion: 1-MW Cold Fusion Plant Now Available! It sounds cool, but I can’t see them being mass-produced for anyone but the rich in the future. Yeah, but who cares? Flyyyyying cars! I just hope they don’t fall on my head. Good, now imagine flying in one and looking down on all the people you don’t like. What am I supposed to do? Divebomb a group of neo-Nazis? Oh Matt. What would I do without you? I dunno, but I imagine it would involve less evil laughter! Or maybe a little more.